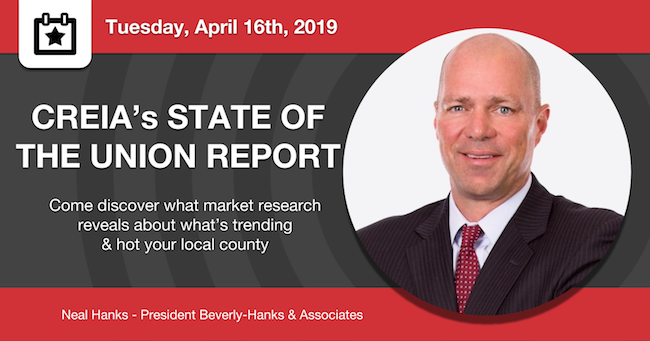 Our April program will feature Neal Hanks, President of Beverly-Hanks & Associates REALTORS* and the Market Research Center, who will enlighten us as to what’s trending and hot in each county: Buncombe, Haywood, Henderson, Madison, Polk, Rutherford and Transylvania. For more than 13 years, the Market Research Center of Beverly-Hanks & Associates REALTORS* has published their Quarterly Market Report with a regional focus by providing analysis at the neighborhood level. The Market Research Center uses the very same data that the North Carolina Mountains MLS makes available to Western North Carolina’s professional real estate agents. As president of Beverly-Hanks & Associates, Hanks leads a full-service real estate firm offering residential and commercial marketing, consulting and brokerage services. In addition to its core real estate operations, the company is a principal in several related industry ventures, including Beverly-Hanks Mortgage Services and Cardinal Title Insurance. Currently, Beverly-Hanks has offices in Buncombe, Henderson, Haywood, Polk, Rutherford and Transylvania counties. Hank’s leadership and success as Beverly-Hanks president has earned him national recognition as a real estate industry expert. Along with forward-thinking peers, he regularly participates in visioning and benchmarking forums dedicated to advancing real estate brokerage and its ancillary services. He began his career with Beverly-Hanks & Associates in 1987 after graduating from Appalachian State University with a degree in real estate brokerage and finance. He is actively engaged in the community in a variety of roles, including having served on the boards of Eblen-Kimmel Charities, United Way, First Citizens Bank and The North Carolina Wildlife Resources Commission.